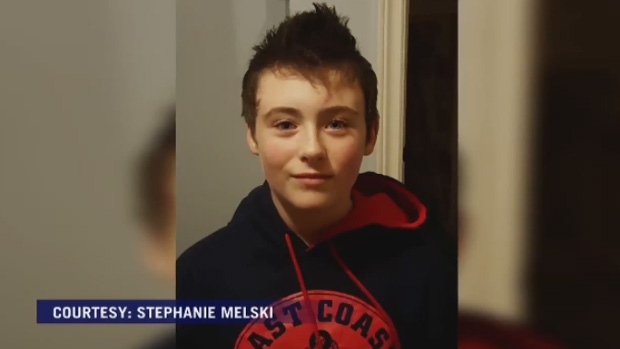 The family of a young transgender teenager who took his own life is calling on the Nova Scotia government to do more to address what they’re calling a suicide crisis in Cape Breton. Justin Newell died by suicide on June 3. The 13-year-old had tried to fight back against bullies by doing presentations at his school about transgender education. He hoped it would show his peers what he was going through and that it was okay to be different. But Newell’s aunt, Stephanie Melski, says her nephew faced continued backlash. Melski says just a week before his death, Justin came to her about one of his friends who was thinking about suicide. Justin was able to talk him out of it. “Justin knew those words were out there. We had no idea he was being told them himself, but he was telling others how to get around them and he just couldn't get around them himself, which is awful,” Melski says. Melski’s husband had a conversation with Justin at dinner the night he died. They talked about his plans for summer and what he was looking forward to. He was found dead just a few hours later. 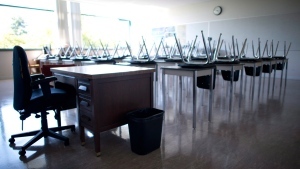 Justin is among three young people in the Cape Breton Victoria Regional School Board to die by suicide in the last six months. The most recent involved a 13-year-old girl named Madison Wilson who took her life on Father’s Day. Her parents say verbal and social media bullying led to her death. The spate of deaths has prompted the provincial government to enlist the help of adolescent mental health expert Dr. Stan Kutcher, who is heading to Cape Breton Monday. Kutcher said in a statement last week that he will speak with families, schools, and community members to learn more about the particular needs of youth on the island to determine what initiatives can help address mental health concerns. Kutcher will be accompanied by a team of mental health clinicians from Halifax to provide support and guidance to the community. He is then expected to report back to the health and education ministers in the coming weeks. Melski believes more can be done. Melski says the family will march in the Pride Parade in August, and will keep Justin’s memory alive by continuing to fight for transgender rights.